Is Coca-Cola Influencing India's Public Health Policies? Two members of FSSAI, which sets food safety standards in India, are also affiliated with an organisation funded by Coca-Cola and which is known to have manipulated consumers in China. The Coca-Cola company has undermined China’s public health policies on obesity through a non-profit group that networked with nutrition scientists to nudge “government policy into alignment with the company’s corporate interests”, according to Harvard University professor Susan Greenhalgh. The alarming findings were published in the British Medical Journal and in the Journal of Public Health Policy last month. The International Life Sciences Institute (ILSI) is a non-profit organisation. It was founded by Alex Malaspina, a former senior vice president at Coca-Cola and was led until the end of 2015 by Rhona Applebaum, Coca-Cola’s chief health and science officer. Greenhalgh’s study found that Coca-Cola and other companies worked through the Chinese branch of ILSI to influence China’s public health policies, including a “shift aligned with Coca-Cola’s message that it is activity, not diet, that matters”. Greenhalgh calls this “a claim few public health scholars accept”. Coca-Cola has been put on the defensive since numerous studies began to place more blame on higher sugar consumption for the obesity epidemic in developed countries. Obesity is also on the rise in emerging economies like China, India, Mexico and South Africa. One of the company’s strategies has been to counter these studies by downplaying the role of diet and calorie intake, instead emphasising physical activity as the panacea. In the US, another non-profit called the Global Energy Balance Network (GEBN) announced in 2015 that it was disbanding after it came under severe pressure from public health professionals and the media for being a front organisation for Coca-Cola. Like ILSI, GEBN received significant funding from Coca-Cola, including $1.5 million to start the network. It also interfaced directly with Applebaum to play down the link between soft drinks and obesity. 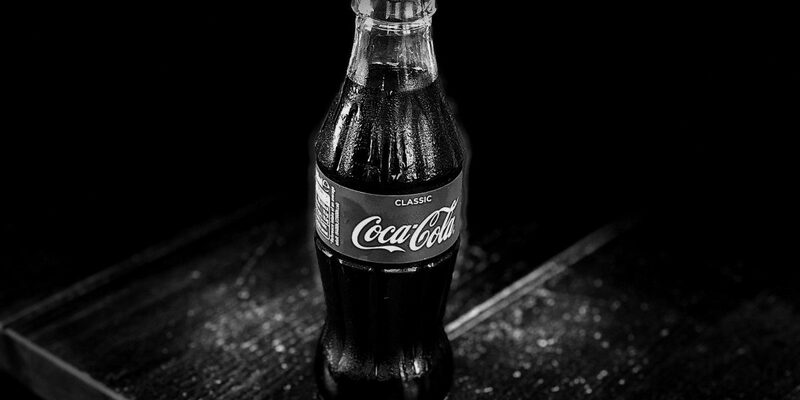 At first, Coca-Cola denied a direct relationship with the GEBN. However, the Associated Press unearthed emails soon after confirming that GEBN was indeed a Coca-Cola stooge, forcing Applebaum’s resignation in late 2015. ILSI has an India chapter in India as well, and counts Coca-Cola India’s Director of Regulatory Affairs as its treasurer. Its board of directors also include representatives from Nestle and Ajinomoto. And not surprisingly, it has organised conferences in India downplaying the role of sugar and diet, and promoting increased physical activity instead. But what is particularly disturbing is that Indian government officials – who are meant to regulate these junk food companies – are also involved in running ILSI. Debabrata Kanungo, one of the board members, is on the scientific panel on pesticides residues at the Food Safety and Standards Authority of India (FSSAI). This is a Central agency responsible for ensuring food safety and setting safety standards. He is also on FSSAI’s scientific panel on food additives, flavourings, processing aids and materials in contact with food. Another ILSI-India board member, B. Sesikaran, is a member of FSSAI’s scientific panel on functional foods, nutraceuticals, dietetic products and other similar products. Sesikaran is also listed as being on the board of trustees of the ILSI global, based in Washington, DC. His affiliation is listed as the National Institute of Nutrition, a Government of India institution under the Ministry of Health and Family Welfare (MHFW). He is the only board member listed with a government affiliation. Similar to the case in China, where ILSI worked with nutrition scientists to toe the corporate line, the organisation has apparently been successful in controlling key public health policy areas in India. In April 2018, FSSAI released a draft ‘Food Safety and Standards (Labelling and Display) Regulations’. It included a rule that the label on a packaged food product that contained high levels of fat, sugar or salt (generally considered junk) should declare so in the colour red – the same colour as Coca-Cola cans. The draft rules were put on hold after some stakeholders raised concerns. The FSSAI has since constituted a three-member committee to “look into the issue of labelling once again”, headed by Sesikaran. Individuals who play a significant part in regulating India’s food safety should not be allowed to also occupy central roles within ILSI. In fact, they shouldn’t be allowed to work for any organisations that are fronts for companies that sell junk food and attempt to manipulate consumers. Such dual roles constitute a serious conflict of interest. If left unattended, such breaches of trust can have the very real consequence of allowing the food industry to define India’s policies on nutrition, food safety and obesity. Companies like Coca-Cola have deep pockets and don’t hesitate to pay their way through. In 2006, when Coca-Cola was under pressure for causing water shortages in India, it hired a lobbyist. According to the New York Times, this person’s “lobbying approach was to ensure, among other things, that every government or private study accusing the company of environmental harm was challenged by another study”. The Indian government should exercise caution and act immediately to cut such close linkages between the food industry the government regulators. Both B. Sesikaran and Debabrata Kanungo should be relieved of their duties with the FSSAI. They should be replaced with independent experts with no conflicts of interest, particularly between private food corporations and public health. The author has also written to Pawan Agarwal, CEO of the FSSAI, and to the MHFW to alert them of the issue. Their response, should they reply, will be included here once it is received. Amit Srivastava works with Berkeley, California based India Resource Center on corporate accountability issues.